Boeing 737-800 operated by Ryanair may accommodate 189 passengers. 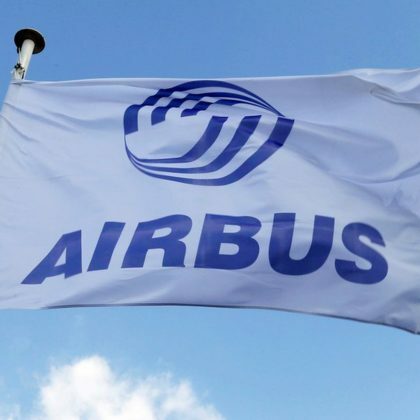 The airplane may contain 51 premium seats and 138 economy class seats. All these seats are not reclining. The seats of the first 5 rows are designated by Ryanair as premium seats. Passengers of the seats 1ABC will take advantage of extra space for passengers’ legs. In front of these seats the seats of crew members are located. Among disadvantage of these seats: reduced width and lack of floor storage during take-off and landing. Also the exit door that protrudes inside may limited extra legroom a little. Thanks to the position of the bulkhead provides extra legroom to passengers of the seats 2DEF. However, the noise that is coming from the galley may cause inconvenience. Also these seats are narrower than standard and have no floor storage during take-off and landing. 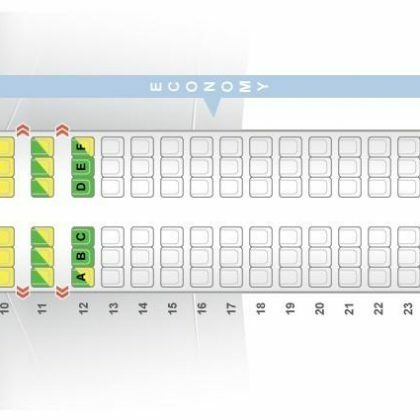 The seats of the rows 6-15 are the seats of economy class. The seat 11A is considered bad seat as it has no window. Behind the exit row two rows of premium class seats are located. Thanks to the exit row located in front the seats of the rows 16-17 offer extra legroom. As the tray tables are in the armrests the width of these seats is reduced a little. Also these seats have no floor storage during take-off and landing. The seats 16A, 16F and 17A, 17F have no window-side armrests. The seats of the rows 18-31 are standard economy class seats. The last 2 rows of seats, i.e. the seats of the rows 32-33 are designated as premium seats. Proximity of the lavatories and lack of overhead storage bins make the seats of the last 33rd row bad seats.